Exquisite custom home with professionally designed details throughout! 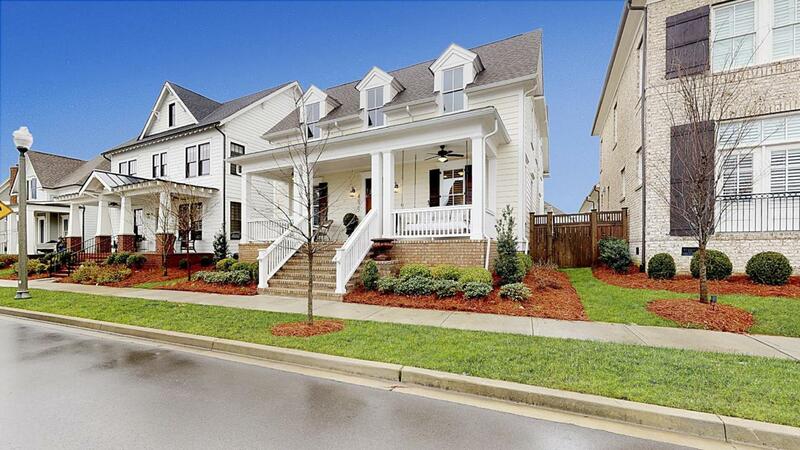 This immaculate home features plantation shutters, a fenced-in yard, butler's pantry, hardwoods throughout, 2 bedrooms downstairs, upgraded bathroom mirrors, and a gorgeous southern front porch with bed-swing perfect for relaxing. Walk to all of the wonderful restaurants, shopping, and amenities offered in the beautiful Berry Farms Community! This home is a true gem and cannot be missed!